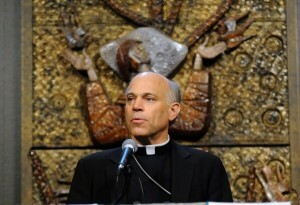 Yesterday, Salvatore Cordileone, the “Father of Proposition 8,” assumed his new position as Archbishop of San Francisco in front of a crowd of about 2,000 people, including 40 bishops. A group that included the Sisters of Perpetual Indulgence protested outside. Cordileone pleaded guilty to DUI charges on Monday. 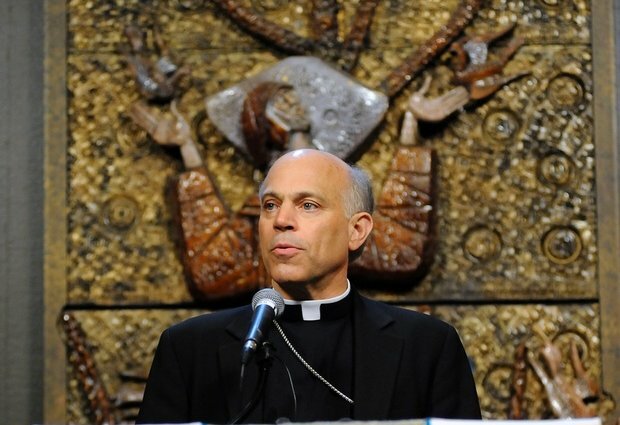 As the New York Times notes, the new archbishop faces a skeptical flock in an archdiocese long known for its outreach to gay and lesbian Catholics. [Cordileone’s] record on marriage stands in contrast, experts said, to those of predecessors who have tried to accommodate gay residents of San Francisco. Some of those archbishops regularly visited parishes like Most Holy Redeemer [a noted gay-friendly parish] or appointed priests sympathetic to parishes with many gay members. Count this former Catholic skeptical that Cordileone will choose to continue the archdiocesan tradition of outreach to the LGBT community. After all, though his ecclesiastical star isn’t likely to ascend much higher, there’s still the possibility of a red hat in the future if he plays his cards right by pleasing the right people. And if there’s one thing that the leadership of the Catholic Church has made abundantly clear, it’s that homophobic bigotry is both institutional policy and a top priority. Stay tuned, folks.